The starting lineups for next month's All-Star Game in New Orleans are set. All that means is that the real fun is just beginning.  The NBA used the fan vote, the player vote and the media vote to calculate each team's first five. For the most part, the fans, players and media got it right. There's only one glaring exception to the starting lineups, but the snub will surely be named an alternate when the time comes. So with that in mind, let's take a look at which players should be filling out the rest of the All-Star rosters. The bench includes two more guards, three more frontcourt players and two wild card selections. 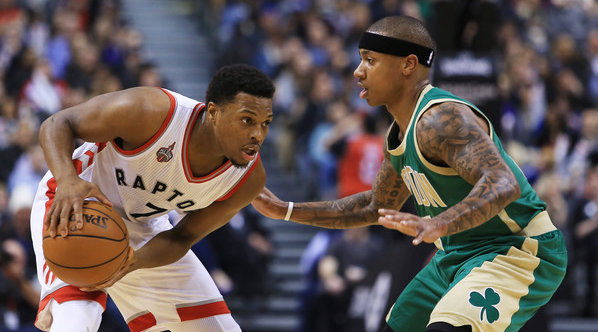 Kyle Lowry has a legitimate reason to be upset he's not a starter this year. Both he and his teammate DeMar DeRozan put up spectacular numbers in the first half of the season, but the advanced statistics show that Lowry may be a little more valuable than his backcourt counterpart. Lowry ranks second in the league in Real Plus/Minus (6.97), trailing only Chris Paul in the category. Yet in that category, DeRozan ranks 134th (0.02). Lowry also ranks first in the league in Real Plus/Minus Wins (10.13), while DeRozan ranks 71st (3.11). Toronto is also 9.5 points per 100 possessions better with Lowry on the court than they are with him on the bench. With DeRozan, they're only four points better. This isn't a knock on DeRozan by any means; he has taken his game to another level this year and deserves to be an All-Star. This is more of a testament to how good and valuable Lowry has been this year to the second-best team in the Eastern Conference. Isaiah Thomas packs a massive scoring punch in a teeny-tiny frame. The Celtics leader ranks second in the NBA in scoring this year, putting up nearly 29 points per game. Despite taking more shots than ever before, Thomas is connecting on a career-high 46 percent of his attempts and has developed into one of the game’s premiere closers. IT4 ranks second in the league among players who have played in at least 20 games this year in Clutch Scoring. Thomas may have his defensive deficiencies, but he's the undisputed engine behind the East's third best team. Cleveland finally has its Big 3 at full strength, and Kevin Love is a shoo-in here. The 6-foot-10 power forward has turned into a deadly 3-point specialist and has found his niche in the Cavs offense after roaming aimlessly for the better part of his first two seasons in Cleveland. Love is one of only five players in the league averaging 20-plus points and 10-plus rebounds a night. Millsap is the alpha dog on the resurgent Hawks, which are playing their best basketball of the year right now. He ranks first on the team in points, second in rebounds, second in assists, second in steals and second in blocks. There's nothing Millsap can't do, and he's continued to produce despite rumors that the Hawks' front office is trying to trade him. 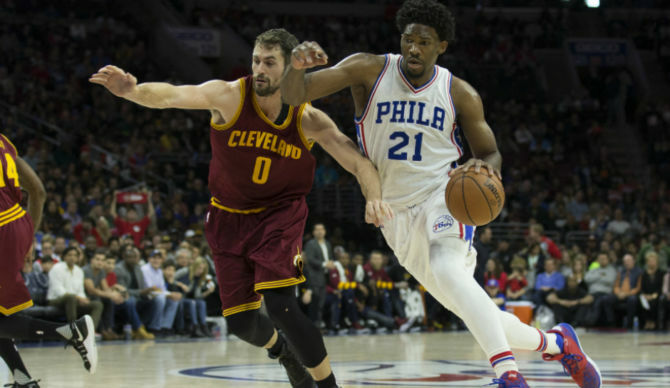 Joel Embiid has revitalized the city of Philadelphia and made basketball there relevant again. He's only playing about 25 minutes per game, but there's only a handful of players in the league who have as big an impact on his respective team as Embiid does. When he's on the court, the Sixers score more and defend better. His per 36 numbers are absurd: 28.3 points, 11.2 rebounds and 3.5 blocks per game. He's earned the right to be the first rookie All-Star since Blake Griffin in 2011. 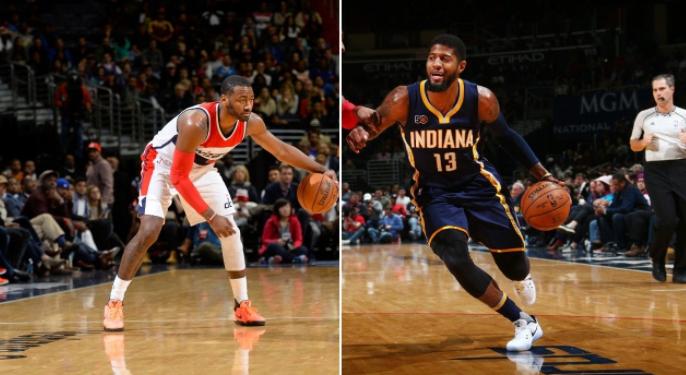 John Wall is interchangeable with the other two guards. In fact, he could probably be a starter in the game, and no one would complain. He's averaging 23 points and 10 assists per game for a team that's surging up the standings after a slow start to the season. Paul George's numbers have fallen off a bit this year, but he's still the man in Indiana. With the emergence of Kawhi Leonard out West, people tend to forget about George as one of the best two-way stars in the league. This may not be the MVP campaign George promised before the season, but in a weak pool to pull from, his ability to dominate on both ends of the court makes him an All Star. 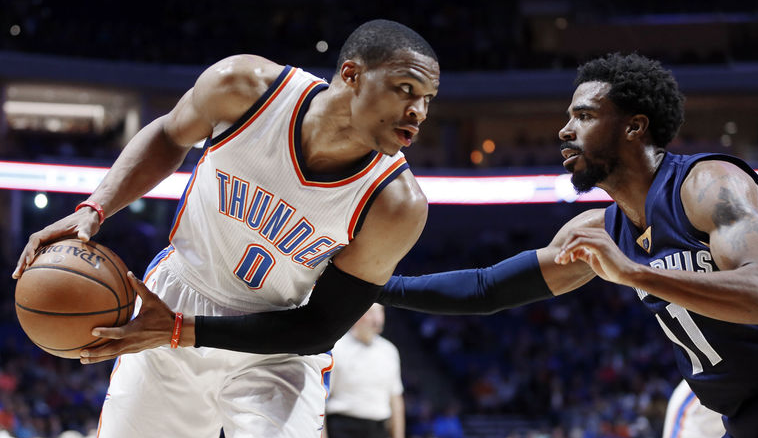 Russell Westbrook A) should be a starter and B) is averaging a triple-double this season. Case and point. Mike Conley is quietly putting together the best season of his career after becoming the highest paid player in NBA history this offseason. He's the catalyst behind the Grizzlies' new offensive attack, scoring a career-high 18.9 points per game despite playing around with some of the worst floor spacing wings in the game. Memphis is playing faster this year under the tutelage of coach Fizzdale, and Conley has been the biggest benefactor of the change of philosophy. He's deadly in transition and often starts the break after hounding his man down the court and forcing a turnover. Conley may not score as much as some of the other guards in the West, but make no mistake, you take him off the Grizzlies and no team outside of the Thunder would suffer as much with the loss of their floor general. Demarcus Cousins is the best offensive big man in the game. It's a shame he's wasting away in Sacramento with an inept front office or else we'd be talking about him as one of the tier-one guys in the NBA. He's that good, and despite a lack of talent around him, is carrying the Kings to a potential playoff-berth. That's not saying much considering the race for the 8th seed in the West is between five sub-.500 teams, but hey, for Sacramento, a playoff spot is a major leap in the right direction. 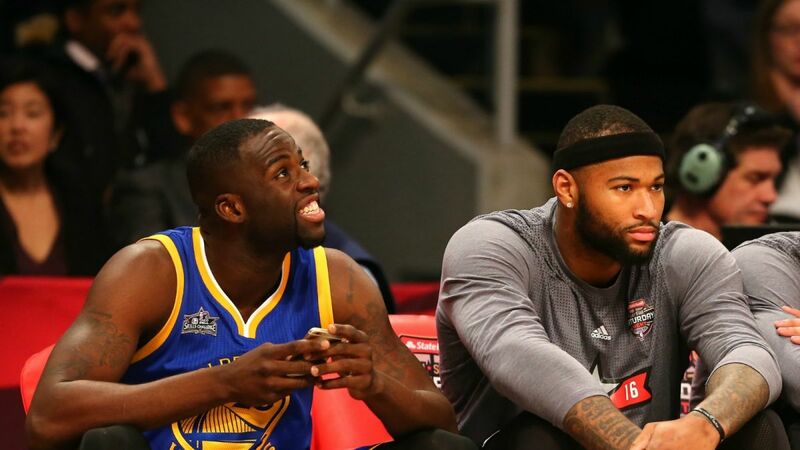 Draymond Green is the ultimate glue guy on the best team in the NBA. He's an elite defender, a tremendous passer and a better scorer than his 10.2 points per game average indicates. He does all the little things the Warriors need, and he blends in well enough offensively to allow Durant and Steph to do their thing without getting in the way. That may sound silly, but it's a skill that not every great player has. Put Draymond on any other team in the NBA, and they instantly become better offensively and defensively. There are only a handful of players who would have that same impact. There isn't a better rim-protector or shot-blocker in the league than Rudy Gobert. The Stifle Tower has made his mark on the NBA on the defensive end, but his offensive game is quickly emerging. He's no Hakeem Olajuan on the block, but he looks more comfortable with his back to the basket every time he touches the ball. His size and length makes him an elite finisher around the rim, and his quick first jump allows him to rise over defenders and slam it on their heads on putbacks. His numbers don't scream All Star, but watch him play for just a few minutes and you'll see his ridiculous overall impact on the game. 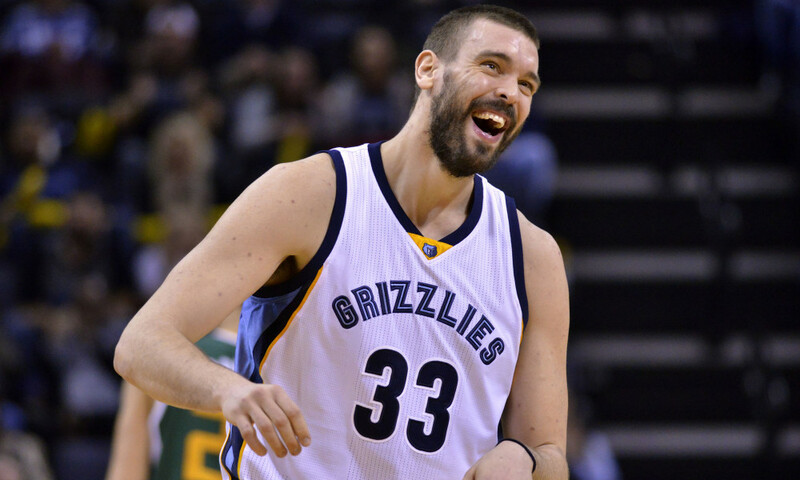 Gasol is the man in Memphis and expanding his game to new heights, or to depths I should say, this season. After making a living on the block for the first eight years of his career, Gasol has extended his range and is now a reliable deep threat. Big Spain is taking nearly four triples a game, knocking them down at a very respectable 39 percent clip. The big fella continues to be a dominant force down low, and the Grizzlies offense predominantly runs through him and Conley. If they're not on their A-game, Memphis is going to lose. Luckily for Grizzlies fans, that duo has been on fire for the most part, and the team has already beaten the Warriors and the Rockets twice this year. Something else to keep in mind: Gasol is still one of the better defensive bigs in the game. Chris Paul will not play in the All Star game due to a broken thumb, but he deserves a nod for what he's done so far this season. But with that in mind, we'll pick a 13th All Star, or replacement for CP3. It comes down to three candidates: Klay Thompson, Gordon Hayward, and Damian Lillard. In the end, the nod goes to Lillard, who finally gets to play in his first All-Star game. The Trail Blazers as a whole have struggled this year, especially on the defensive end. A portion of that blame falls on Lillard, who is not a very good defender. But the blame can't be solely placed on the team's leader. Everyone from the head coach to the team's 12th man is responsible, and LIllard can only control so much. On the positive side, Lillard is the most explosive offensive player on one of the league's highest scoring teams. He never shies away from the big shots and can single-handedly carry the Blazers for long stretches if need be. He was notoriously snubbed from last year's All-Star roster, and although this may not be his best season, he still deserves the honor. It's tough to imagine four Warriors making the team, even though we've seen it before. The West is that loaded this year. Hayward has been the best player on the Jazz and can play a myriad of different roles for that team, but Utah would fare better without him than the Blazers would fare without Hayward. If there's one snub I feel the worst about, it's this one.